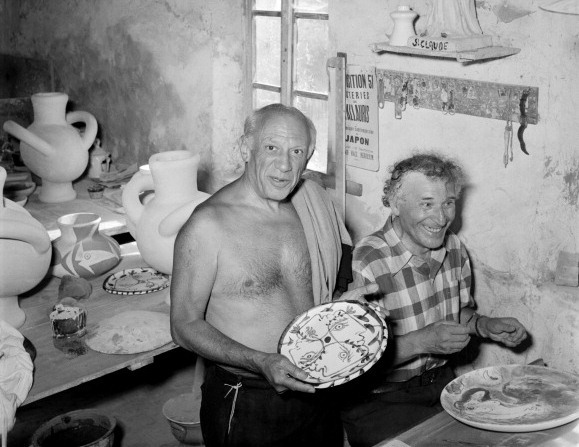 Pablo Picasso, Marc Chagall and Henri Matisse. Friendships and conflict. The Matisse Museum is housed inside an elegant 17th century villa high about the city of Nice where the artist lived. Nearby, the Marc Chagall Museum houses religious themed paintings and stain glass masterpieces. About 20 minutes west of Nice, the Picasso Museum is located inside a small castle overlooking the Mediterranean. They say that greatness attracts greatness and for these three artists, Paris was the place they had in common and where they gathered to create some of their most famous masterpieces. Let’s take a look into what they thought about each other’s art, how they inspired one another and what happened when their paths crossed. Both Picasso and Chagall were aware of each other’s works and activities and Chagall in particular, wanted to meet Picasso when he moved to Paris in 1910. While there were several attempts, they didn’t actually meet until around 1944. 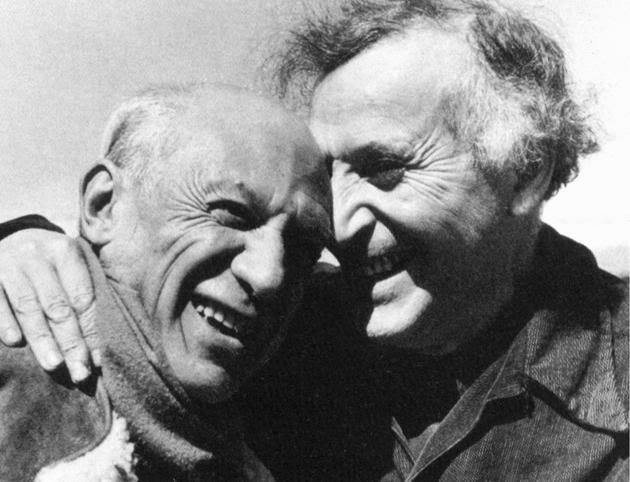 Chagall sent Picasso a letter requesting to meet and then traveled to Vallauris, where Picasso was living at the time, to meet him. It was the beginning of a 20-year friendship that would eventually end badly. Throughout their friendship they enjoyed festive dinner parties together and visited each other’s studios often. They inspired one and other. Those at the table witnessing the scene say Chagall grinned at that remark but burned inside ever after. That was the end of the friendship. Although the two never collaborated and the friendship sadly ended, they shared many wonderful years filled with dinners and ideas. When these two great artists met in 1906, both were very much aware of each other’s works. They seemed to have little in common; Matisse was cool and calm, a Northern European artist. Picasso a hot tempered Spaniard. In their work, where Matisse is sensuous, Picasso is sexual. Matisse has a love of fabric, Picasso, a love of flesh. 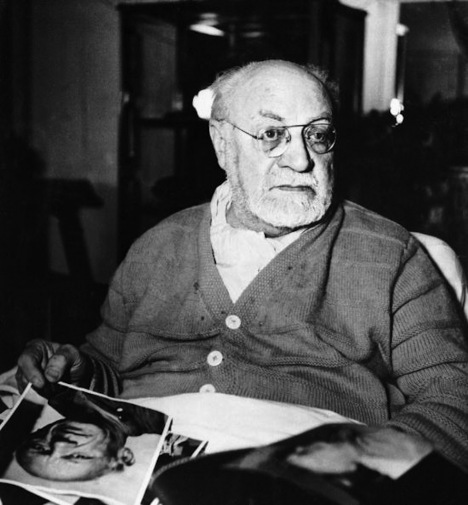 Matisse with photos of Picasso. While these two masters looked to the same surroundings of Nice, France to inspire them, their artwork shares no similarities. And although they lived in Nice at the same time and both held important roles in the same artistic movement, Chagall and Matisse were not great friends. It would seem they must have surely crossed paths, but there’s little known about their relationship and one can conclude that there was little to speak of. 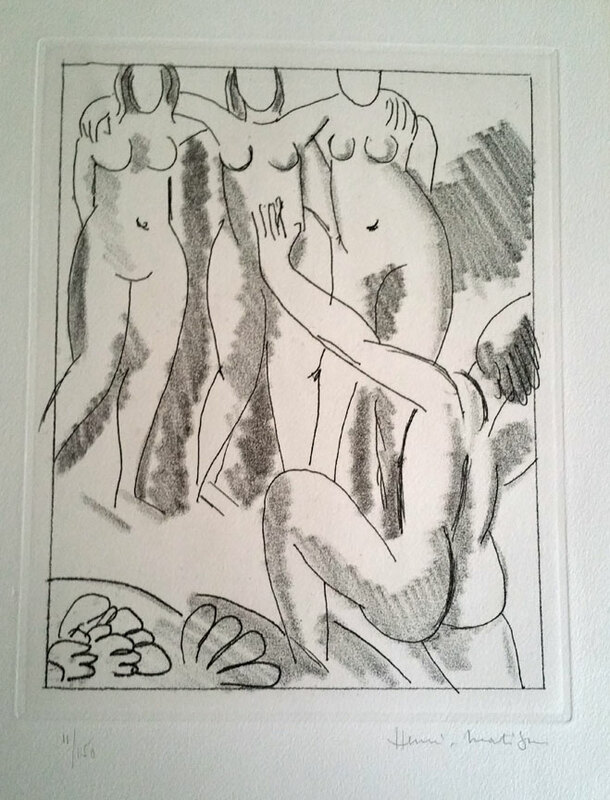 You can find Chagall, Picasso and Matisse prints at GinaArt. See original exhibition posters, DLM prints and edition prints on our “Artist” section. Click on the New Inventory tab to see our newest Picasso, Chagall and Matisse prints. As always, if you can’t find the art you’re looking for, contact us to discuss.